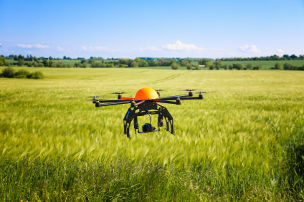 There is an increasing number unmanned aerial vehicles (RPAS, also often referred to as drones or Remotely Piloted Aircraft Systems (RPAS)) being operated for various reasons. At the same time there are also regularly reports of incidents with RPAS. The wide distribution of RPAS notwithstanding, they are still banned in Belgium. A communication by Ms Jacqueline Galant, Belgian federal Transport Minister, in which she reveals the main elements of a new Royal Decree, has again stirred public debate on the issue. This debate, however, often neglects to take account of existing international and supra-national frameworks that already contain (binding) regulations on a number of important issues. 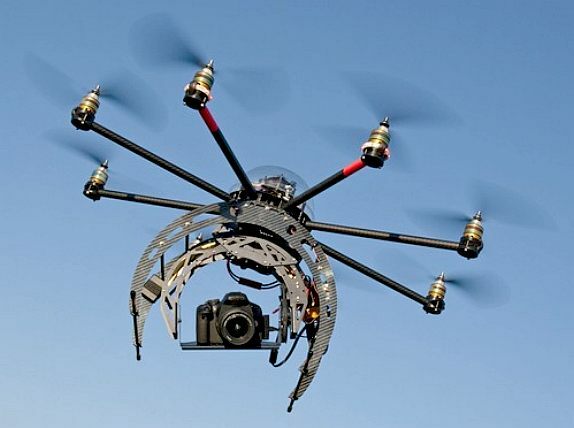 In our RPAS newsletter series we will examine the key questions that arise concerning authorisation and the use of images, all of this with respect to both current and future law. The focus here will be on professional use. This issue of the newsletter series focuses on the liability aspects. The liability of the RPAS operator can be compromised primarily in two ways. This is first of all the case if the transported cargo is damaged (A), and also if there is damage on the ground (B). Liability for both types of damage is largely regulated in conventions and, as is often the case in transport law, is limited liability, meaning that the victim sometimes is compensated for only a fraction of the damage. Damage to cargo is internationally governed by the Montreal Convention and the Warsaw Convention. The Warsaw Convention was adopted by the national legislature for internal transport. When applying these Conventions, one should consider not only possible express-transport applications for RPAS, but also flights in which the payload being carried belongs to the party commissioning the flight. This could include a camera of a photographer or production house, or specific specialised measuring equipment. Although for such flights the place of departure and arrival are often the same, this is no impediment to application of the Convention. The cargo is indeed being transported to another place, to perform a task in the air, and returns only afterwards. In a similar case concerning passenger transport (aerial work), the Court of Justice very recently ruled that the Montreal Convention is applicable. The applicability of these Conventions could have unexpected consequences for the owner of the camera or measuring equipment. The liability of an air carrier under the Montreal Convention for example is limited to 19 SDR or 24.65 euro per kilo (art. 22.3 Montreal Convention). For much of this technical equipment, such compensation will cover only a fraction of the damage. Although it is possible to agree on higher compensation under the conventions mentioned, a lack of knowledge of the existence of these limits could stand in the way of contractual agreements. In the absence of a limitation clause in the contract, the contracting party could mistakenly believe that, in accordance with common law, it is owed full compensation for the damage suffered. An important aspect that is cited by proponents of restrictive rules on RPAS is safety. 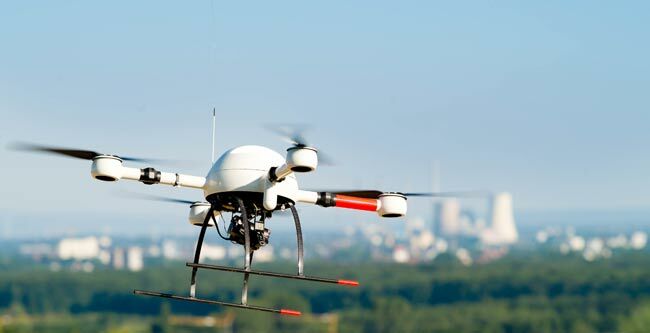 Here reference is made among others to the risk of potential damage on the ground, damage that often will occur when the RPAS crashes, or in the case of other contact between the RPAS and an object or person. Damage in this case can be both contractual, for example when crashing the RPAS while inspecting a chimney, and extra-contractual, if the RPAS crashes into a passer-by or the property of a third party. Concerning damage to the cargo, the liability for such is subject to imperative law. This damage is covered by the 1952 Rome Convention, which applies to both contractual and extra-contractual damage. While this Convention applies only to damage caused by foreign aircraft, article 2 of the Ratification Act also expands applicability here to damage caused by Belgian aircraft. As is the case under Regulation 785/2004, state aircraft are excluded from the scope of the Convention. Article 26 states that the Convention does not apply to damage caused by military, customs or police aircraft. For damage caused by the first category, the Act of 12 May 1927 on military requisitions applies, and for the final category, the common liability scheme under article 1384 of the Civil Code applies. While it is clear that the crash of a RPAS or other damage resulting from contact with the RPAS is compensable, the question arises whether this also applies to damage not caused by direct contact with the aircraft. For example, what if a motorist is startled by the sight of the aircraft and has a collision. Case law on this point has repeatedly ruled that the operator of the aircraft could also be held liable for such damage insofar at least as the party suffering the damage can prove that the damage is the direct result of the aircraft being in the air or the resulting falling person or thing, and that this is not solely due to the fact that the aircraft is flying through the air, pursuant to the regulations governing air traffic. Thus, the liability of a balloon operator was upheld in a case where the balloon was flying low and at the last moment had to increase the gas flow to avoid a forest, frightening animals, since such behaviour was considered reckless. Important today is the fact that, since the use of RPAS is prohibited in principle, any use of RPAS for which no authorisation was given by the Civil Aviation Authority violates the regulations governing air traffic. Consequently, in the above situation where a vehicle driver is startled by the RPAS and has an accident, the operator of the RPAS can always be held liable. When there is contractual damage, it is up to the parties to contractually include a scheme. This can include higher limits as well as exoneration, restriction, or force majeure clauses. Moreover, the question whether such a clause is valid must be assessed according to common Belgian contract law. However, under current law (and in the future in the case of unauthorised flights) there is a potential problem: a possible argument is that in this case the agreement has an unlawful object, resulting in the nullity of the agreement. As a consequence, restriction or exoneration clauses, for example, included in the agreement will be void along with the rest of the agreement, resulting in the ceiling of 30,714 euro again being applicable. Liability: possibilities for the judge? Taking into account the primacy of treaty law, the judge in principle is obliged to apply the lower limits of the Rome Convention. In Belgium, in contrast to the Netherlands, there is no culture in which convention limits can be set aside in the service of reasonableness and fairness. Yet the question arises concerning what the court will do in a situation where a talented young lady (or gentleman) is hit by a crashing RPAS and as a consequence spends the rest of his/her life in a wheelchair. Will the judge consider it sufficient to simply award approximately 30,714 euro? In Dutch case law, in cases involving the transport of persons, several arguments have been made to (not) award full compensation if the limit is manifestly inadequate. While reasonableness and fairness remain the central arguments, other arguments are also cited. Thus the appeal to reasonableness and fairness is done here in conjunction with article 1 of the First Protocol of the ECHR in order to prevent the application of conflicting provisions. However, the primacy of article 1 of the First Protocol is in no way absolute: limitations are indeed possible, provided there is a ‘fair balance’ between the public interest and the protection of individual rights. Various arguments are cited in support of the fact that the limits do not constitute a fair balance here. The landmark case here is the Baardman case (from which the essence of the example outlined above was derived). In this case, a young lady was involved in an accident when exiting a train, resulting in a lifelong disability. The court of Amsterdam awarded full compensation here, referring to (a) the fact that the limits with respect to the international transport of passengers are less important (two-tier systems are also becoming more common in other liability conventions), (b) the fact that the amount of the damage greatly exceeds the limit, (c) the uninsurability rationale does not apply, since it involves only one person and an exceptional damage amount (d), in a number of cases reference may also be made to the fact that the carrier knowingly risked significant damage. Additionally, e) reference can be made to the fact that the limits in the 2009 Convention (see below) are significantly higher. However, there are potential reasons to leave the limits intact, such as the mandatory nature of the legislation (but reasonableness and fairness can trump mandatory law) and legal certainty. Moreover, in applying the fair balance test under article 1 First Protocol, a number of elements plead for the limit: (a) insurability, (b) the protection of economically vulnerable but necessary public enterprises and (c) a possible discrepancy between the amount of the damage and payment for the work performed. A possible workaround is for the court to apply inflation correction without fully dropping the limit. Although this might not always offer a complete solution, according to research by Herber regarding the CMR limit (CMR dates from 4 years after the 1952 Rome Convention), this limit lost 7.56 x its value between 1956 and 2004. The application of an inflation adjustment to the Rome Convention would mean that the limit should rise to at least 232,197 euro for the period 1956 to 2004 alone. Applying this limit would therefore much more often result in ‘reasonable’ damage compensation. If the damage is caused by failure of the RPAS, a possible alternative for the victim is to base the claim on the Product Liability Act. The victim can obtain compensation for bodily injury under this law (art. 11 § 1 Product Liability Act). Compensation for damage to goods for private use can also be claimed, albeit with a 500-euro deductible (art. 11 § 1, 2 and 3 Product Liability Act). The advantage of a claim under the Product Liability Act is that there is no possibility to limit the liability, unless there is a concurrent fault on the part of the victim. Although under the Product Liability Act the victim can obtain full compensation, the operator obviously cannot require the victim to first address his or her claim to the producer. Still, there are some hurdles when appealing to the Product Liability Act. Not every defect in a product makes it a defective product. A product is only defective in the sense of this law if it does not provide the safety that one is entitled to expect, taking all circumstances into account (art. 5 Product Liability Act). In this, for any damage caused by RPAS it is important that the law expressly refers to the time when the product was put into circulation, thus specifying that a product may not be considered defective solely because a better product is put in circulation (art. 5c Product Liability Act). The Product Liability Act thereby also provides an incentive to the competent authority to not grant RPAS approvals too lightly. In addition, the producer can refute its liability among others if it can prove that, on the basis of the state of scientific and technical knowledge at the time when it put the product into circulation, it was not possible to discover the existence of the defect (art. 8e Product Liability Act). Due to the strict interpretation of the condition that it must be impossible, producers will be unable to use it lightly. The impossibility indeed must be demonstrated objectively and not subjectively. That is, it does not concern the knowledge that the producer itself has, but the most advanced knowledge available, even outside the specific sector. Given the extensive research conducted in manned aviation, the threshold for a successful appeal to this ground for dismissal therefore will be very high. This overview shows that the liability of the operator is very limited for both damage to cargo and damage on the ground. This reduced risk has the disadvantage that it can remove a major incentive for operators to invest in safety. Consequently, the legislator has two options. The first option is for the Royal Decree itself to impose higher safety standards to thus eliminate the moral hazard that can arise for operators due to the low limits. The second option is to amend the national legislation. As mentioned above, said conventions apply only to international traffic and foreign aircraft, and the national legislature has declared them applicable to internal transport and Belgian aircraft. Such an amendment could exclude RPAS so that common contract law or common non-contractual liability again applies to these aircraft. As regards the liability for damage on the ground, there is a third option available, i.e. to join the SDR protocol, or, even more favorable to the victim, to become a party to The Convention on Compensation for Damage Caused by Aircraft to Third Parties of 2 May 2009. This convention foresees a limit of 750,000 SDR for aircraft less than 500 kilograms. While a possible counter-argument could be that such a limit endangers the insurability of operators, this would not seem to be a problem since this limit corresponds to the level of compulsory insurance required under Regulation 785/2004. Yet acceding to this Convention cannot offer an immediate solution, since it is not yet in force. In any case, a priority with respect to damage on the ground caused by a RPAS would appear to be putting liability for damage on the ground back on the political agenda. The next and last issue of our RPAS newsletter series will focus on privacy matters.